I have become obsessed with Healthy One Dish Meals – one pan, pot, skillet, dutch oven – it doesn’t matter, I love only having one dish to clean after dinner. I love to cook. 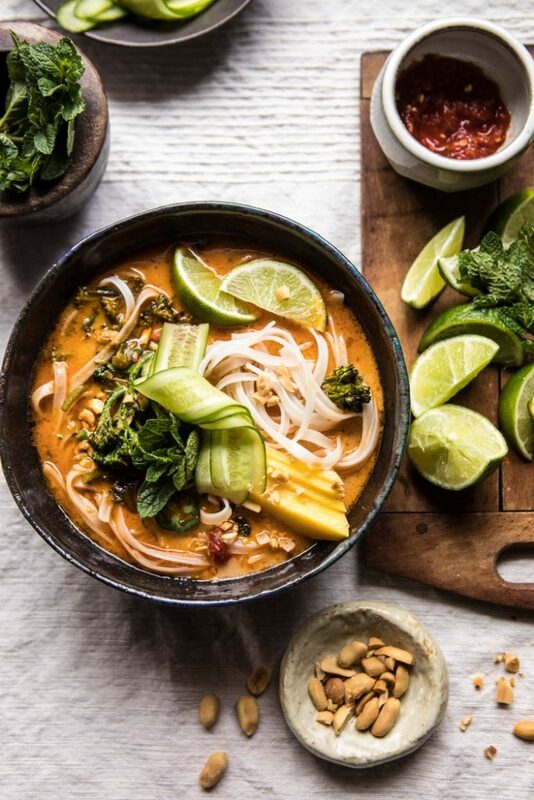 I think its fun – trying new recipes, experimenting with new flavors – It is usually healthier and cheaper than going out to eat, and I enjoy it! But even as someone who loves to cook, finding the motivation to make a meal after a long days work is often hard! Why? Because cooking takes time – especially when you are starting from fresh ingredients! I’m hungry right when I get home. And worse yet, cooking requires cleaning! BLEH! Who wants to do that? 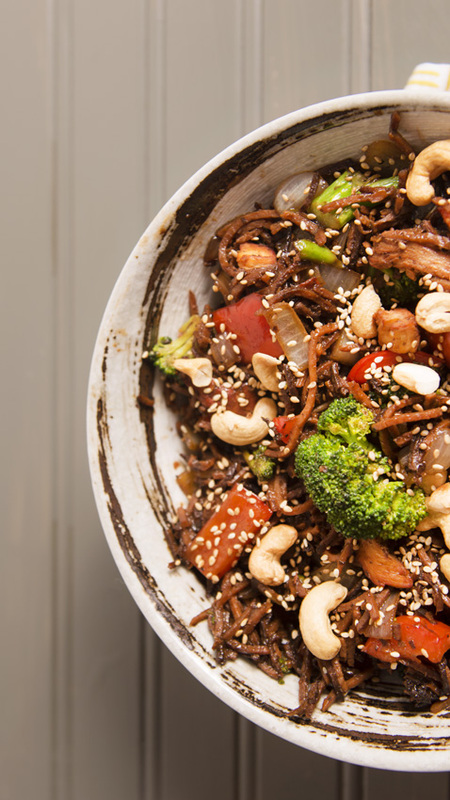 This roundup of Healthy One Dish Meals is for those that love to cook and those that hate it! Just because you are hungry and lazy, doesn’t mean you have to settle for bad, or unhealthy, food. Check out this incredible list of easy to make, easier to eat, and easiest to clean 20 Healthy One Dish Meals. I am OBSESSED with this recipe! 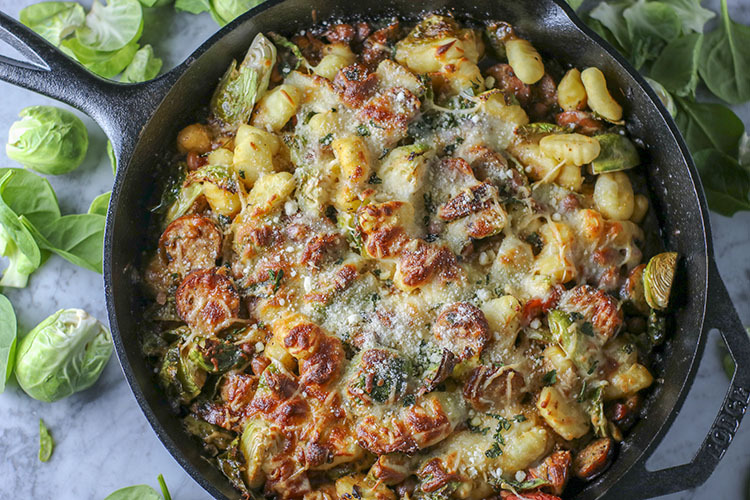 Adapted from Chelsea’s Messy Apron, this skillet is packed with roasted brussel sprouts, chicken sausage, white beans, diced tomatoes, and of course – GNOCCHI! The skillet perfectly roasts the brussel sprouts to be crisp on the outside and tender on the inside. But the best part? The gnocchi – A little crunchy, yet perfectly tender and delicious. 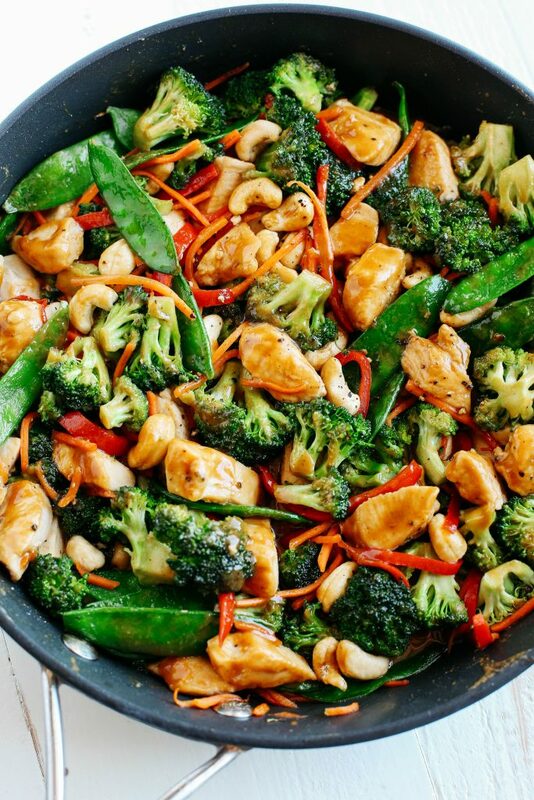 This is bound to become one of your favorite healthy one dish meals. 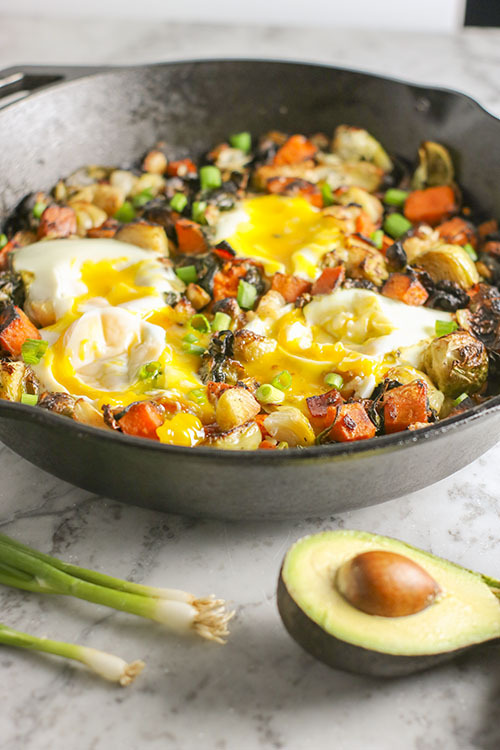 Talk about breakfast of champions, this skillet is loaded with Canadian bacon, sweet potato, brussel sprouts, spinach, onion and topped with perfectly tender eggs. Easy, delicious, and bound to please the family whether you are planning breakfast, brunch, or brinner. Vegetarian? Loose the Canadian bacon and an extra veggie of your choice instead! How beautiful is this skillet? 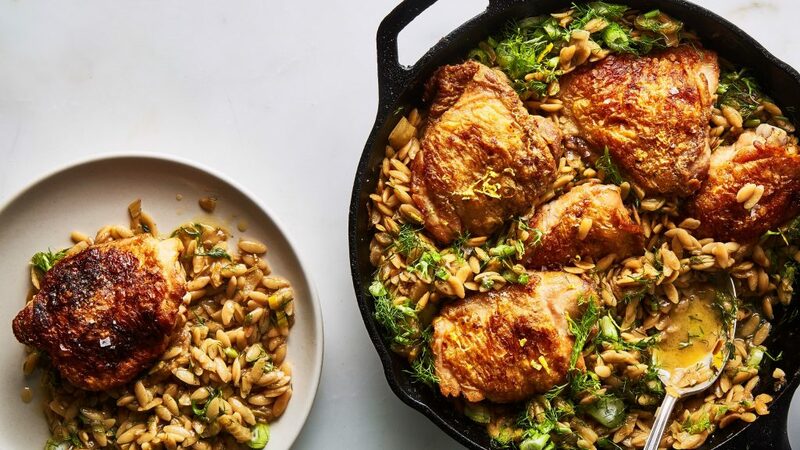 Orzo, fennel, leek and lemon combine to make this incredibly gorgeous and delicious chicken skillet. 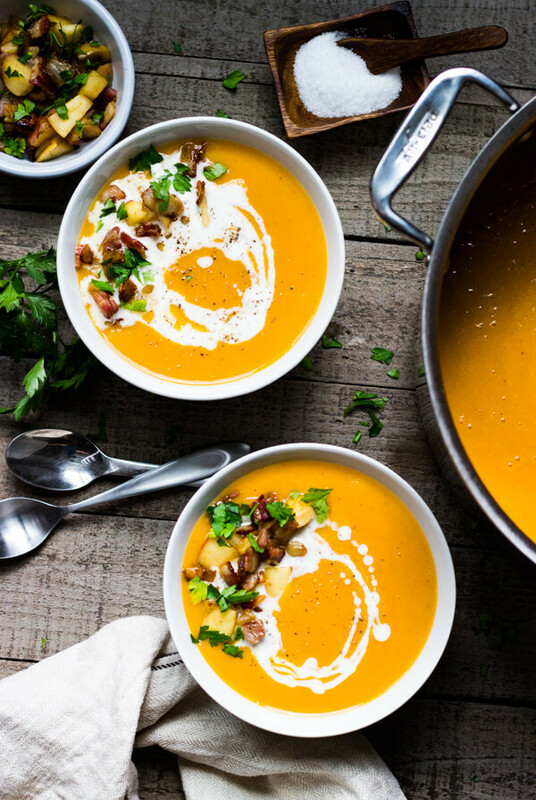 Simple, filling, healthy, and cozy – this 20 minute soup is packed with incredible flavor and spice. Ginger, peanut, coconut, mango and lime – salty yet sweet – this recipe can’t be beat. 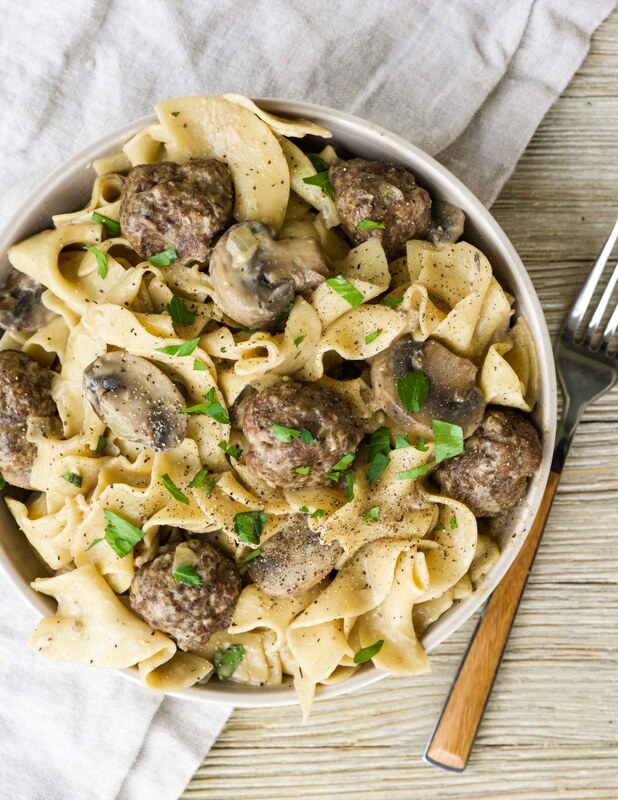 I LOVE this fun recipe for One Pot Mini Meatball Beef Stroganoff. 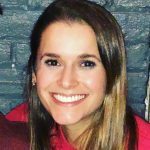 Laurel from Southern Parm is fabulous at developing approachable yet delicious recipes the whole family can enjoy. Don’t have the time to make your own meatballs? Buy some pre-made for an even easier version of this incredible recipe. Who doesn’t love hummus? Its creamy, rich, filling and delicious. Traditional cream sauce can be heavy and leave you feeling weighed down – not this hummus sauce! The best part? 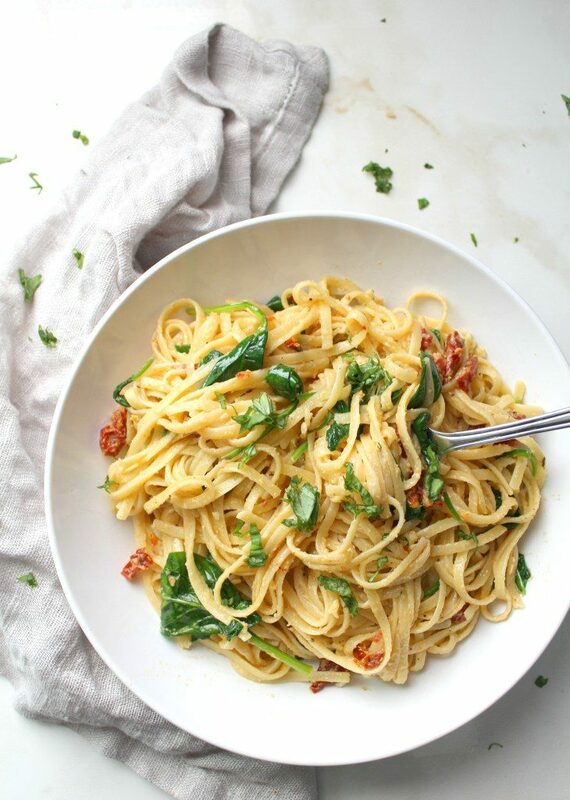 This delightful pasta takes only 20-minutes to make! 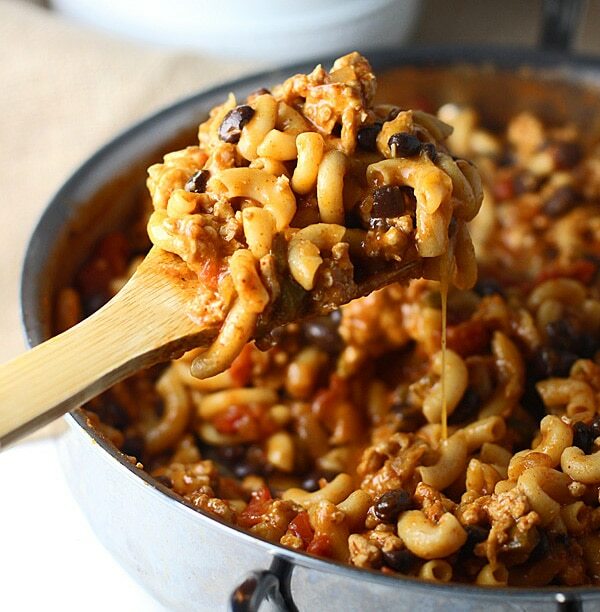 There is nothing more comforting than a good old pot of Chili Mac. The problem – its usually not good for you. This lightened up version of everyone’s favorite comfort food is a fabulous addition to your Healthy One Dish Meals archive. Juicy turkey glazed with sweet hoisin and soy all wrapped with fresh crispy, lettuce. 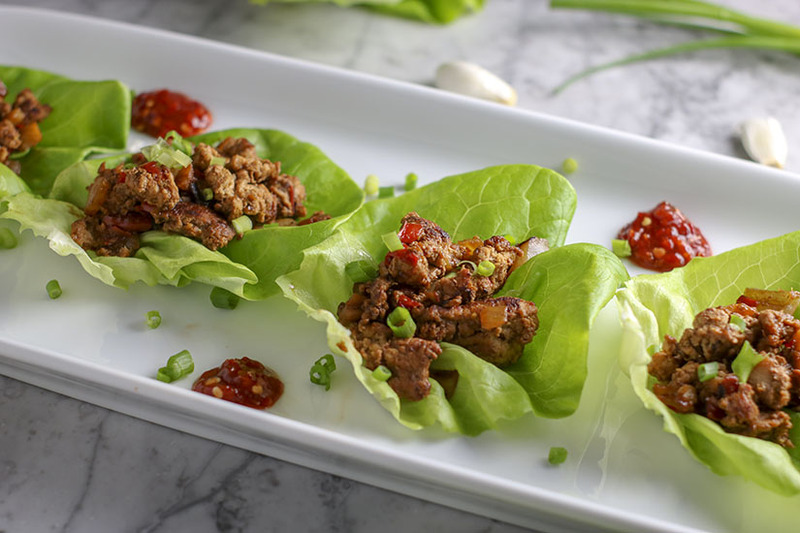 These Turkey Lettuce Wraps are almost as good as take out! 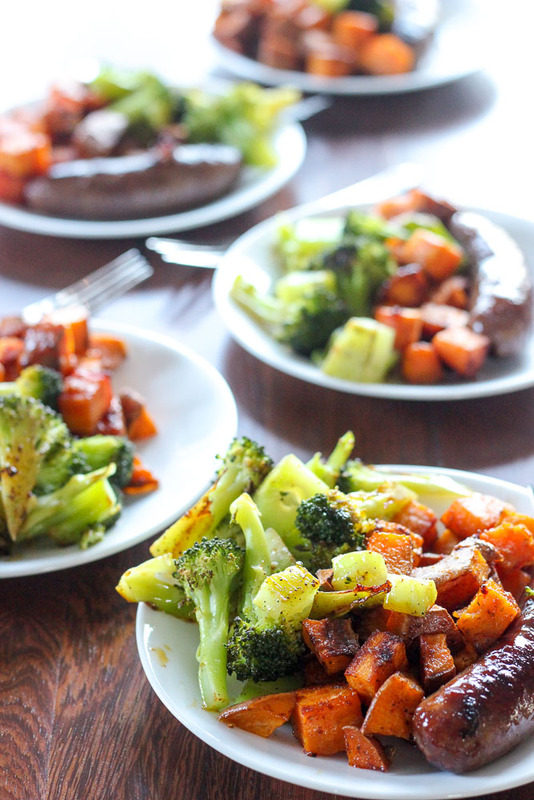 This easy 20-minute meal is perfect for those crazy weeknights when you are running short on time but still want something delicious! Customize by subbing in your favorite veggies or protein! Spiralized zucchini seems to be getting all the attention these days, but spiralized sweet potato should not be forgotten! Flavorful, filling, and packed with nutrients – this Spiralized Sweet Potato Stir Fry is a great alternative traditional rice stir fry. 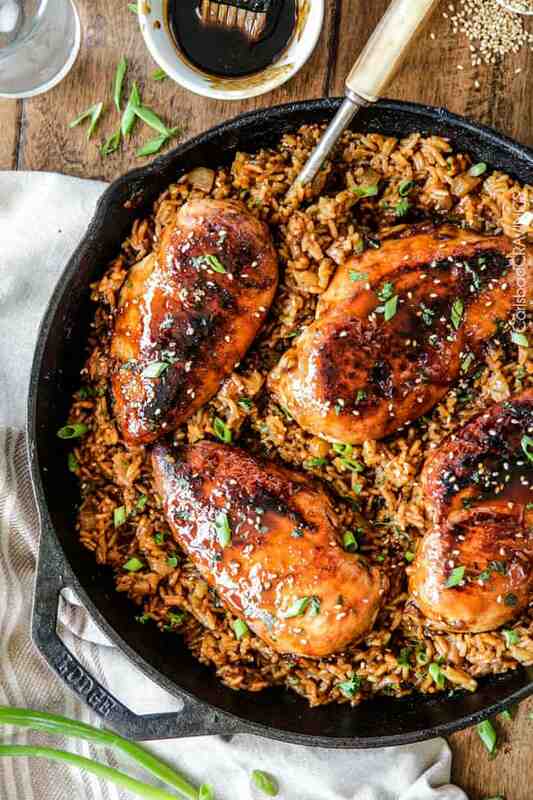 This dish may only use one pan but it is surely not lacking any flavor. 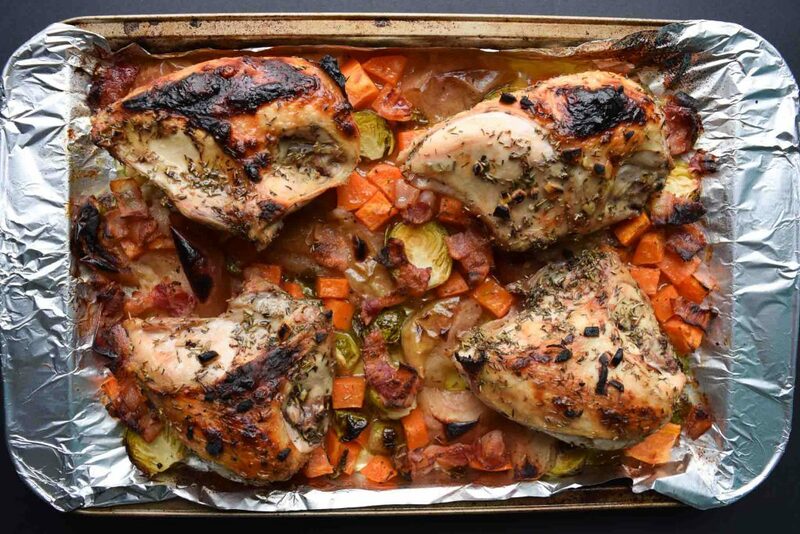 Sweet potato, apple, chicken, brussel sprouts, and garlic – seasoned with thyme and rosemary – oh and did I mention? There’s bacon. I’m sold. 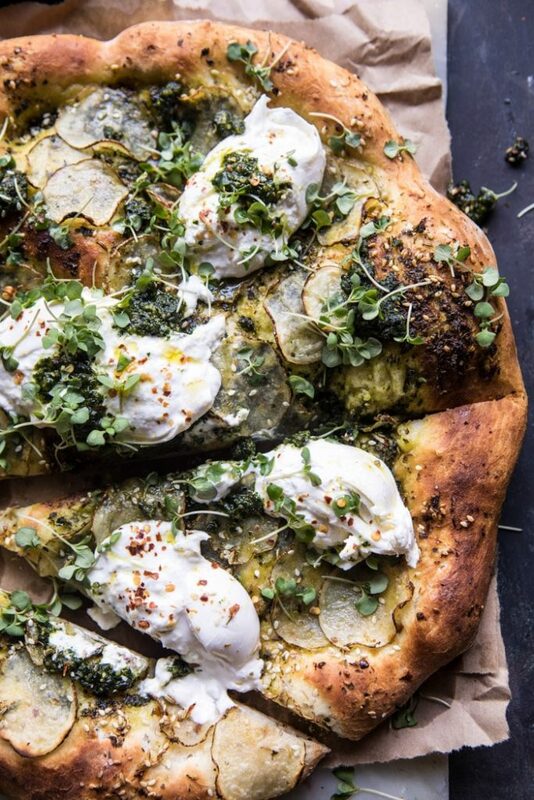 Pesto, potato, AND burrata – in the form of pizza? I am drooling already. Does your family have more traditional tastes? 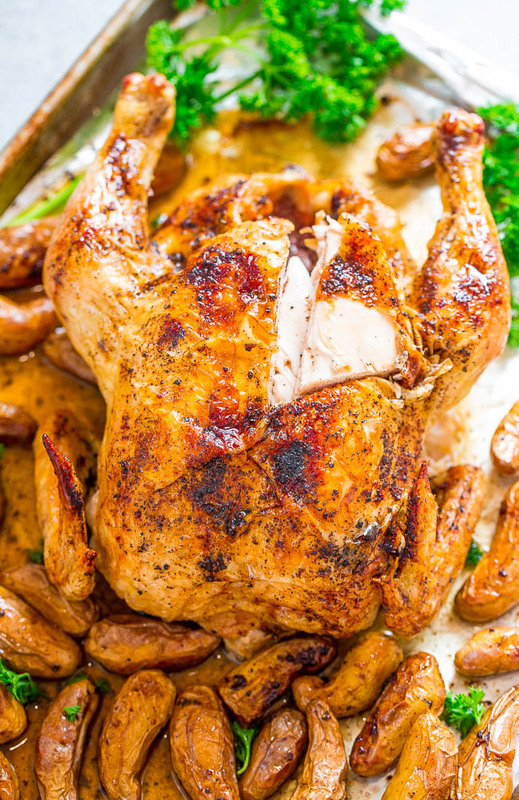 This Sheet Pan Whole Roasted Chicken and Potatoes is made with only FOUR ingredients! Simple yet easy and delicious. Use foil to eliminate a messy cleanup – bing, bang, boom – DONE! I am a HUGE fan of shrimp. It’s is flavorful and light, yet easy and quick. Buy a bag of frozen shrimp and you’re ready to make this incredible, gourmet-tasting dish at a moment’s notice! Another incredibly satisfying yet delicious and easy dish by Delicious on a Dime! 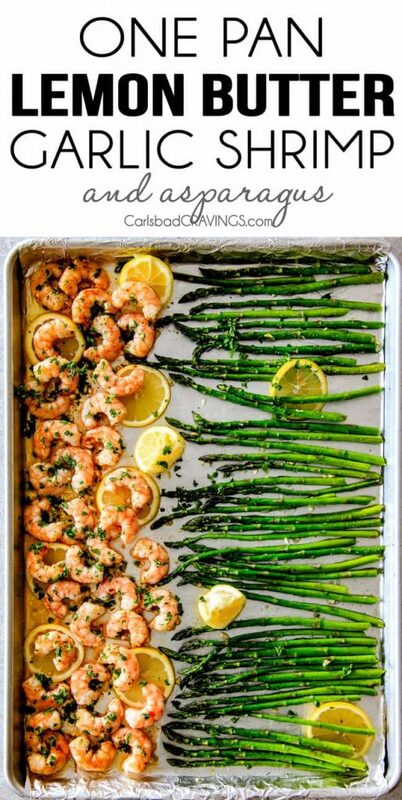 Great for an easy weeknight meal or as meal prep for the week! You all know that I’m obsessed with breakfast. 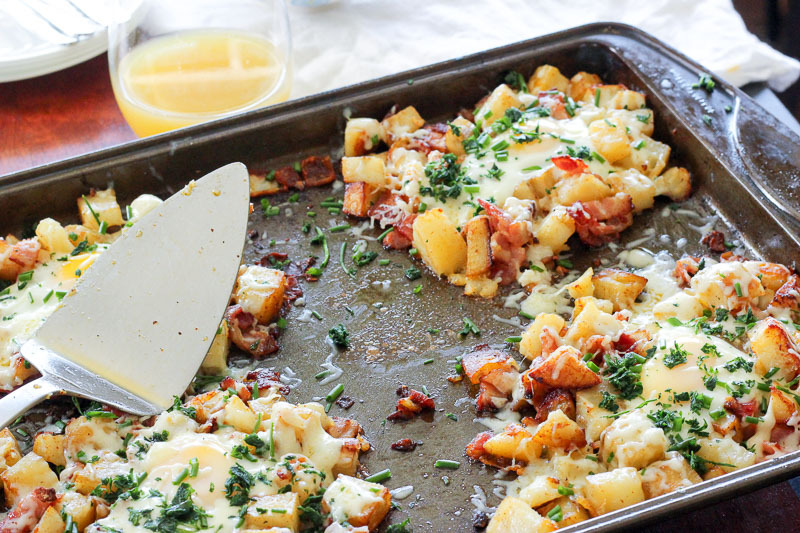 Eggs, potatoes, bacon, and cheese – this sheet pan breakfast has it all. 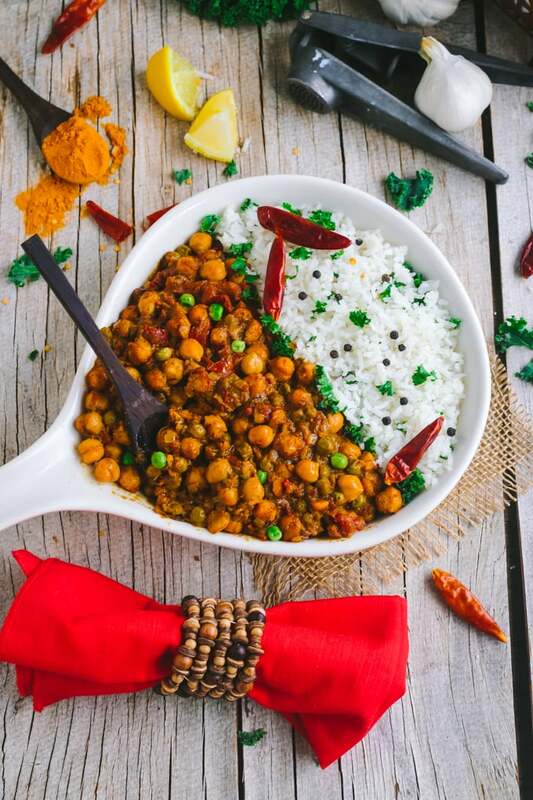 Some people think that an easy meal must be a boring meal – this One Pot Chickpea Coconut Curry is the PERFECT example of why that is not true! Packed with Indian spices and creamy coconut milk, this vegan dish is anything but boring. 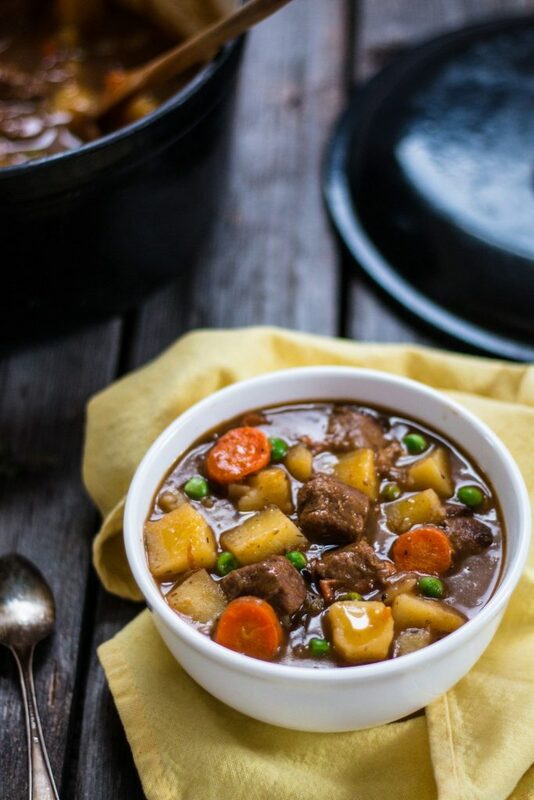 Carrots, onions, mushrooms, peas, and potatoes – this hearty Beefless Beef Stew is so warm and satisfying, you may forget it’s meat-free! 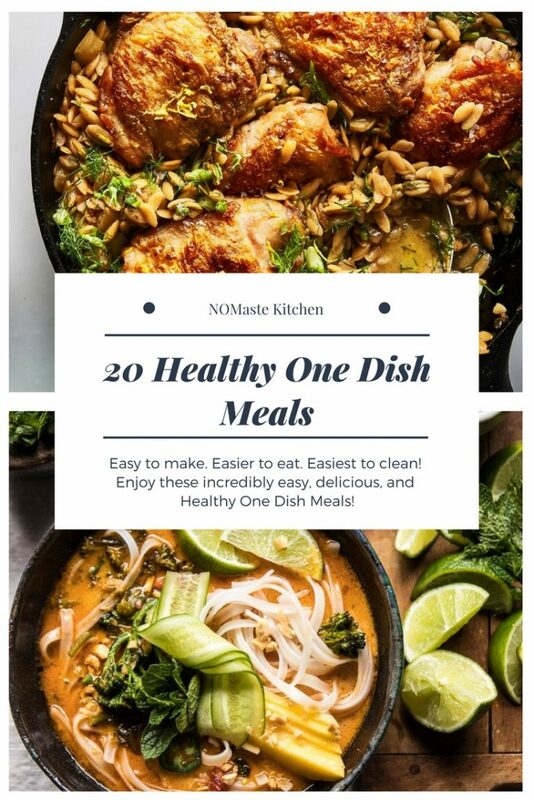 So there you have it – 20 incredibly delicious, easy to make, easier to eat, and easiest to clean healthy one dish meals you and your family are SURE to love! These all look fantastic. Beautiful roundup! Thanks for including Vegan Vigilante! Thanks for the wonderful recipe, Deborah! !